Julia doesn't understand what is happening to her daughter, but she thinks she knows what's causing it. She is terrified for Lily, and for herself, but what scares her more is that no one believes her. There, Julia uncovers a heartbreaking, long-buried tale of tragedy and devastation - a discovery that puts her in serious danger. Some people will do anything in their power to keep the truth silent . 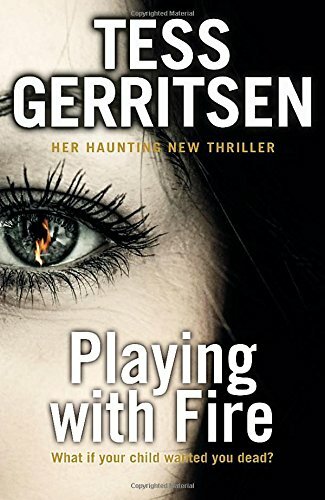 . .
A standalone novel from Tess Gerritsen. Clever and well written. It is a story that will stay with you long after you have read it. The mystery starts after Julia buys an old music sheet and plays the music on her violin. The music seems to have a strange effect on her little daughter. The family cat is found stabbed to death after Julia plays the music for the first time and then Julia is stabbed in the leg during the second playing. The only other person present each time is her daughter. Julia is convinced that somehow the music is responsible and sets off to discover its history. There are two stories woven through the novel; the story behind the origins of the music, and the present day story of Julia's investigations. The tragic circumstances surrounding the music's origins unfolds as the narration switches from the present day to WWII Italy. It is a haunting and emotional tale told with great eloquence. There is a twist at the end of the novel which I didn't see coming. The mystery surrounding the violence that occurred when the music was played was resolved and it rounded the story off on a more optimistic note. But the best price you'll find for the hardback copy is at Amazon (UK) where it is currently reduced to £5.